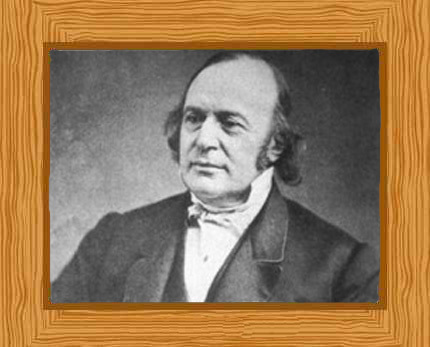 Louis Agassiz was a Swiss-born biologist, physician, geologist, teacher, and most importantly, a prominent innovator in the field of the study of natural sciences. His landmark work on the glacier activity and extinct fishes were his revolutionary contributions. Agassiz grew up in Switzerland and went on to become a professor at the University of Neuchâtel teaching natural history. Later, he accepted a professorship at Harvard University where he gained fame through his innovative teaching style which altered the natural science education method in the US. Louis Agassiz was born on May 28, 1807 in Môtier in the village of Fribourg, Switzerland. It is the western, French-speaking part of the country. His father, Jean Louis Rodolphe, was the last of a line of seven Protestant clergymen was responsible in instilling in him his religious qualities. His mother, Rose Mayor Agassiz, encouraged young Louis’s interest in science. Louis was home-schooled initially and then went to Bienne to finish his four years of secondary education. He completed his schooling years at the academy in Lausanne. He studied at the universities of Zürich, Heidelberg, and Munich pursuing medicine as his profession. However, he extended his knowledge by studying natural history specifically botany. In 1829, he obtained the Doctor of Philosophy degree at Erlangen. The following year, he received another doctorate degree, Doctor of Medicine, at Munich. Agassiz went to Paris on December 16, 1831 where Alexander von Humboldt and Georges Cuvier became his mentors and who were responsible in launching his geology and zoology careers respectively. While his previous studies were not focused on ichthyology, the branch of zoology that deals with fishes, soon it was to become the center of his life’s career. Agassiz married twice. His first wife to whom he had three children died in Switzerland. In 1850, he married for the second time to college teacher Elizabeth Cabot Cary who hailed from Boston. Once settled in the US, his two daughters and son, Alexander joined him in America. In 1832, after the death of Cuvier, one of the most famous naturalists in Europe at that time, and with von Humboldt’s help, Agassiz secured a teaching profession at the University of Neuchâtel in Switzerland which is not very far from Agassiz’s place of birth. For the next thirteen years, he devoted most of his time working on several projects in paleontology, systematics, and glaciology. It was through these works that he became a strong proponent of the theory that an Ice Age had once gripped the Earth. He completed his four volume work from 1833 to 1843, “Recherches sur les poissons fossiles” (Research on fossil fish) which put together information about over 1,700 fossil fishes at that time. The book, which was illustrated chiefly by Joseph Dinkel, served as an inspiration to launch future research on extinct life of all kinds. During his term at Neuchâtel, Agassiz also published his “Nomenclator Zoologicus” in the years 1842-1846. It was a vast classified catalog of the names of every genus and subgenus in zoology published since the time of Linnaeus. As Agassiz’s descriptive work continued, so was his need for financial assistance. Fortunately, the British Association came to the rescue, and the Earl of Ellesmere, also known as Lord Francis Egerton also helped him with his needs. In 1836, Agassiz was awarded the Wollaston Medal by the council of the Geological society of London for his fossil ichthyology work. Two years later, he was elected as a foreign member of the Royal Society. Agassiz expanded his interest and study to invertebrate animals. He worked on the “Prodrome”, a detailed study on the recent and fossil marine animals such as sea stars, sea urchins, sand dollars, and sea cucumbers, known as Echinodermata, in 1837. The first part was published the following year. Agassiz published the second part in 1839 to 1940 and the “Critical Studies on Fossil Mollusks” (Etudes critiques sur les mollusques fossils) was issued from 1840 to 1845. Agassiz travelled to the United States in the autumn of 1846 with the aid of a grant of money from the King of Prussia. His twin purposes were to study the natural history and geology of North America and to deliver lectures by invitation from John Amory Lowell at the Lowell Institute in Boston. His lectures were such a great success that he was later offered a professorship at Harvard University, which he accepted due to the scientific as well as financial advantages the work presented. He settled in Boston where he remained until the end of his life. In 1846, Agassiz was elected as a Foreign Honorary Member of the American Academy of Arts and sciences. Agassiz was one of the first American biologists who gained fame internationally. In Harvard, he had the chance to mentor future prominent scientists and was perhaps the most influential figure in the 19th century on the future course of American zoology and geology. He was most remembered though at Harvard for his Ice Age theories and for never accepting the theory of natural selection. Agassiz’s lecture engagements at the Lowell Institute led to the establishment of the Lawrence Scientific School at Harvard University in 1847 of which he was the head. At Harvard where he was appointed zoology and geology professor, he founded the Museum of Comparative Zoology in 1859 and served as the first director until he died in 1873. While serving as faculty at Harvard, Agassiz also served as a non-resident lecturer at Cornell University. In 1852, he accepted a teaching post at Charlestown, Massachusetts teaching comparative anatomy. He, however, resigned after teaching for two years. Around this time that his scientific study stopped although he remained a large influence on many future prominent scientists. In 1857, Henry Wadsworth, a good friend, wrote “The fiftieth birthday of Agassiz” in his honor. In the 1960s, Agassiz was afflicted by an illness and he decided to return to the field for relaxation as well as to resume his studies of Brazilian fish. An account of one of his excursions, an expedition to Brazil, was published in 1868. A couple of years later, in 1871, Agassiz once again travelled to South America on its southern Atlantic and Pacific seaboards exploring the Magellan Strait. This particular expedition was praised by Charles Darwin, although Agassiz was known to be the former’s lifelong opponent on the theory of evolution. During the last years of his life, Agassiz worked to establish a permanent school for the pursuit of zoological science. In 1873, John Anderson, a private philanthropist, gave him the island of Penikese, in Buzzards Bay, Massachusetts along with $50,000 to establish the practical school devoted to the study of marine zoology. It however failed not long after Agassiz died aged 66, on December 14, 1873.